Balancing motherhood and academics can be tough, especially when there’s no one to take care of the infant at home while their mothers are attending their lectures in school. For University of the Philippines – Los Baños student John Labilles, he was able to witness the warmth and consideration of his professor for his classmate who brought her baby to class. The professor was seen taking care and calming the baby down. WHEN IN MANILA has reached out to Labilles for further details. This happened in my MATH11 (College Algebra) class in UPLB, and our instructor’s name is JM Inaudito. Basically, what happened was my seatmate brought her baby, and all throughout class she had him on her lap. Sir JM carried him around a few times just for fun, but at one point, he did start whimpering and crying out a little bit, so Sir JM decided to carry him around again to help calm him down. 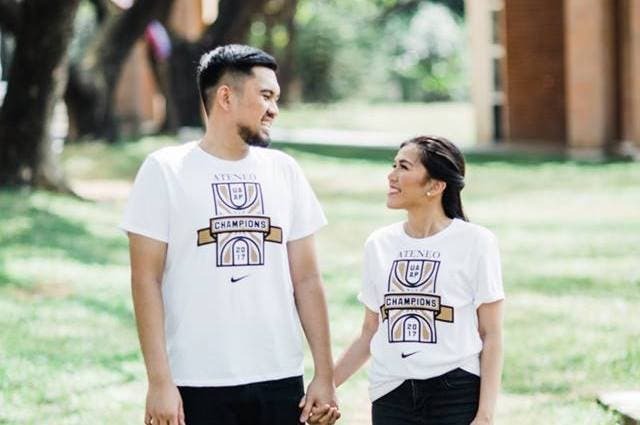 He also shared that when Inaudito called for a quiz, he and another instructor from the math department “volunteered to take care and watch over the baby” while the baby’s mother, Labilles’ classmate, answered. I wouldn’t say [Sir JM] is a “father” figure but he’s more of a “kuya”. I guess it’s because he is pretty young. If I remember correctly, he’s only 23. He’s not a terror prof by any means because he makes himself very accessible and relatable to his students! Sir JM is also a really fun professor. He tells a lot of funny anecdotes and incorporates pop culture references and memes in his lectures. Disclaimer: WheninManila.com does not own any of these photos. Credits go to JohnLabilles. Core Yoga: A Life Changing Experience! Milkshakes in Manila: Find the Thickest and Yummiest at Starr’s Famous Shakes!